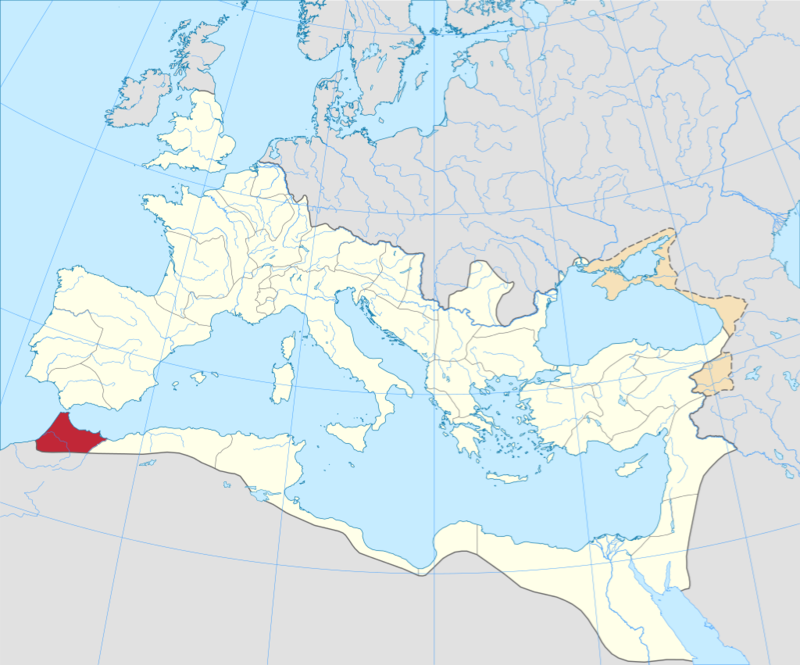 Mauretania Tingitana was a Roman province located in the Maghreb, coinciding roughly with the northern part of present-day Morocco. The province was named for its capital - Tingitana (modern Tangiers). The major cities Tingitana were Iulia Valentia Banasa, Septem, Rusadir and Lixus. The Germanic Vandals established themselves in the province of Baetica in 422 AD under their king, Gunderic, and, from there, they carried out raids on Mauretania Tingitana.